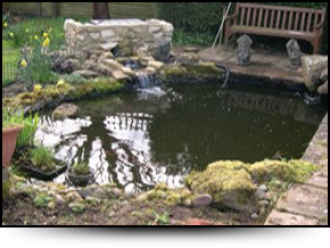 If you are interested in updating your garden, updating your pond or adding a new pond all together look no further than Garden Pond Services in Brackley. With many years of experience and a passion for spectacular ponds we can meet your needs whatever they are with ease. We believe that a pond should be a centre piece and should be an asset to your garden. Whatever sized pond you are looking for our team can bring it to life in front of your eyes without you having to lift a finger. 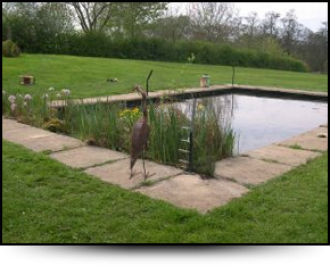 As well as pond installations we can offer you pond cleaning services, pond upgrades and pond maintenance so that your garden is well kept from top to bottom. Due to our experience we understand the main problems with open ponds are herons and other predators to your fish. We can install heron deterrent fencing around your pond so that they are deterred from entering your pond and also install filtration systems to help your fish and plants thrive all year round. All of our services come with free quotes and are carried out by our professional and friendly team. With a portfolio for you to view you are never stuck for choice and have the option to completely create your own design pond if none of ours suit your style. Get in touch by calling 07704 576 839 for your free quote regarding the pond services you need in Towcester, Oxford, Banbury and the surrounding areas. We believe that a pond should be a centre piece and should be an asset to your garden. Whatever sized pond you are looking for our team can bring it to life in front of your eyes without you having to lift a finger. 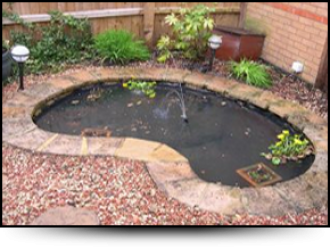 As well as pond installations we can offer you pond cleaning services, pond upgrades and pond maintenance so that your garden is well kept from top to bottom.